From 1857 to 1884, C. F. W. Walther (the first president of the LCMS) wrote numerous articles and speeches addressing Lutheran identity and Lutheran unity in doctrine and practice on the basis of Holy Scripture and the Lutheran Confessions. For the first time, these previously scattered, inaccessible, and even forgotten writings are being brought together in Church Fellowship, the latest addition to Walther’s Works (forthcoming in January 2015). The volume includes sixteen essential writings on topics such as confessional subscription, church fellowship, syncretism, Communion fellowship, the source of doctrine, and much more. Church Fellowship will help clarify not only what constituted Lutheran identity in the nineteenth century, but also what it means to confess the Christian faith in the twenty-first century, in harmony with the Church of all ages. There may not be a more often asked question of pastors by laypeople than the one concerning the biblical and confessional reasons for the practice of closed Communion in the Missouri Synod. Whether asked by a longtime faithful member who would like her out-of-town niece (and formerly a member of the LCMS) to attend the Sacrament or the inquisitive individual in the adult infor­mation class, its rationale is no doubt one of the more difficult matters for pastors to articulate in a persuasive and convincing manner without sounding intolerant and unloving. For such people, Walther’s essay “Theses on Communion Fellowship with Those Who Believe Differently” sup­plies a theological foundation and sets forth an apologia for the practice over against its critics. 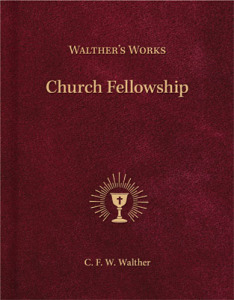 Walther shows that he regards the issue of Communion fellowship as a complex one that is not dealt with adequately through simplistic slogans and answers. He immediately refers the reader back to “the doctrine of the true visible Church” as providing the necessary foundation for the current essay, the foundation from which he now draws out the practical consequences for pastor and congregation. The issue of closed Communion was no less hotly debated in Walther’s day than in ours. Then as now, most Lutherans, not to mention Protestants, regarded this practice of communing only those belonging to an orthodox church body as the epitome of an intolerant and unevangelical Christianity. Walther’s opening reference to the true visible Church reveals his strategy and approach to the issue. His point of departure is not, as one might expect, the doctrine of the Lord’s Supper, but the doctrine of the Church. Only after he has established the biblical and confessional teaching on church fellowship (Theses I–VI) does he turn to a discussion of the Lord’s Supper as the primary place where church fellowship takes place (Theses VII–XIII). Thus the structure of the essay divides nicely into two sections of roughly equal length. Walther begins his discussion with a description of the characteristics an orthodox church should exhibit. He opposes every form of relativism that would turn truth into a matter of degree rather than a matter of truth or error. As an orthodox church is defined by its faithfulness to the Word of God alone, Walther allows for neither compromise, nor a variety of viewpoints, nor dif­fering perspectives, nor diverging opinions, but calls upon the Church to confess God’s Word and nothing but God’s Word. . . . The true visible Church in an unqualified sense, or a part of the same, is the one in which the Word of God is preached purely and the Holy Sacraments are administered according to Christ’s institution. It is important to hear why the doctrine of the true visible Church is established here as foundation. Why don’t we admit those who believe differently to Holy Communion? This is a burning question of our time. It is also the basis for most bitter accusations against us and other faithful Lutherans by many who have freed themselves from the bonds of a gross, undisguised union but have gotten into a modern, new-faith Lutheranism. They indeed do not want to have anything to do with the wretched theory—falsely based on the words of Christ, “Come to Me, all who labor and are heavy laden, and I will give you rest” (Matthew 11:28)—according to which everyone should be admitted to Communion as well as to the sermon. In fact, they plainly call this theory a vile sin and a distortion of the Word of God and indignantly cry out, “One should certainly not cast pearls before the swine nor give what is holy to the dogs.” But never­theless they still want all to be admitted to Holy Communion who are not openly unchristian, of course regardless of their particular confession. This unionistic error is defended, among others, by the spokesmen of the so-called Church Council, in that they thereby wrongly appeal to a passage in our Symbols. They say that we must therefore admit to Holy Communion all who show themselves to be dear Christians. This practically unionistic basic principle is rooted in their wrong doctrine of the Church. Our opponents do not wholeheartedly believe that there is one true visible Church on earth in an unqualified sense. So much the more is it necessary that we become clearly aware precisely of this doctrine in order to justify our doctrine and practice of Communion. If the opinion of the leaders of the “Church Council” and their spiritual comrades were divine truth, then we Lutherans would commit grievous sin with our church separation from all other Christian fellowships in general. For if also those who believe differently belong to our Communion, then they really belong also to our church, whose bond of union and confessional mark is precisely the Sacrament; we must therefore necessarily unite with them ecclesiastically also in all other things. . . .
From Walther’s Works: Church Fellowship, pages 145, 147 © 2015 Concordia Publishing House. All rights reserved. 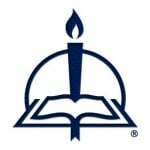 To order Church Fellowship, please contact CPH at 800-325-3040 or visit www.cph.org.